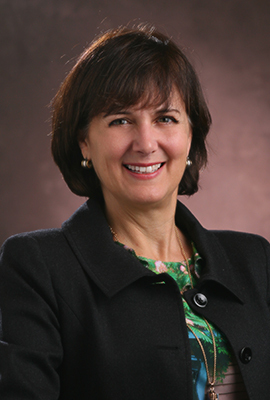 Beth Shackleford began serving as the law school’s first director of Student Professional Development in 2010. Prior to this appointment, she worked in legal career services and legal recruiting for 27 years. Shackleford draws on her extensive contacts throughout the profession as well as her event-designing expertise to provide support to students in developing core skills. Her event planning experience in providing multiday educational programming for groups up to 1,300 participants enables her to organize a full range of professional development opportunities for the law students. She has published and presented on numerous legal career topics. Additionally, Shackleford assumes primary responsibility for career resource development for the law school. Currently, Shackleford serves on the national editorial board for PD Quarterly along with law school faculty and law firm professional development directors from across the country. She has served in numerous national-level leadership roles in the field of career development for lawyers. In 2006, Shackleford was honored with the prestigious Association of American Law Schools' Kutulakis Student Services Award. She earned her bachelor's degree in political science from Agnes Scott College and later received a certificate in mediation from The Settlement Institute in Atlanta. Actively involved in the community, she has served on several boards of nonprofit organizations.